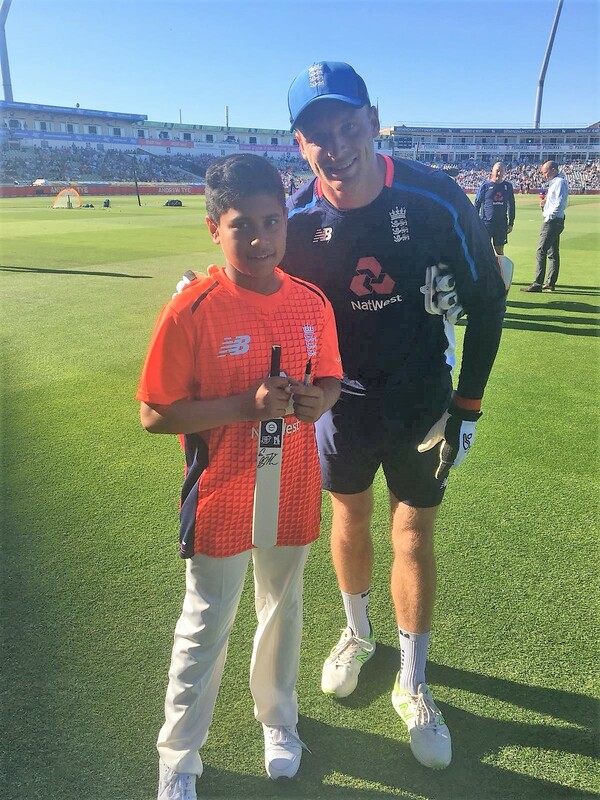 Small Heath Leadership Academy pupil Zain Ali was hit for six when he found out he had been selected as the official mascot for the recent International Twenty20 match against Australia. Already making a name for himself by captaining our school team, this was Zain’s opportunity to swap his local cricket academies and clubs for a taste of life on the international stage. Zain was selected as the single representative across the whole of the Midlands region to perform this prestigious honour. 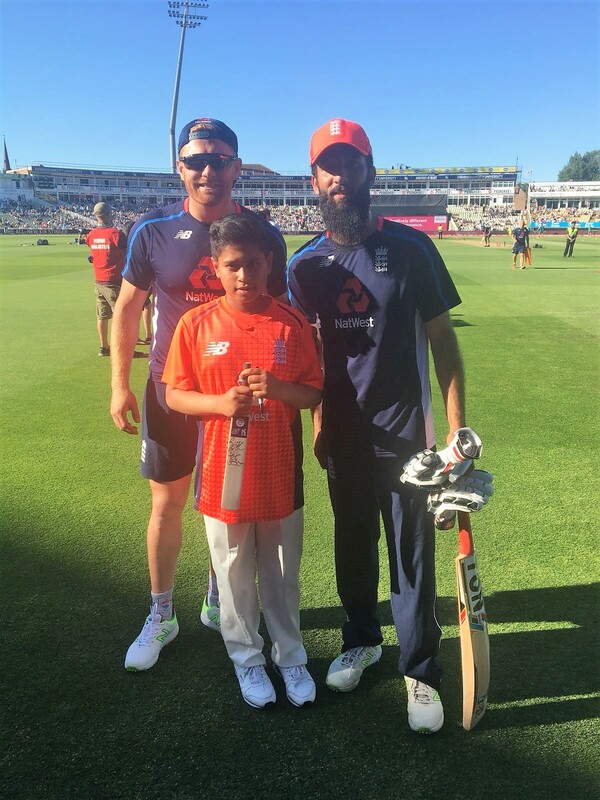 Year 7 pupil Zain didn’t bat an eyelid at the pressure of leading England captain Eoin Morgan onto the field, where he was joined by cricket icons such as Jonny Bairstow and Joe Root. After being introduced to the crowd live on Sky Sports Cricket, Zain accompanied Eoin Morgan for the coin toss before being introduced to the full team, taking away a signed cricket bat from the match. Just when Zain thought the day could not get any better, he was there to experience a whitewash over arch-rivals Australia. Zain Ali, England’s official mascot for the day, receives his signed cricket bat from cricket superstar Jos Buttler. 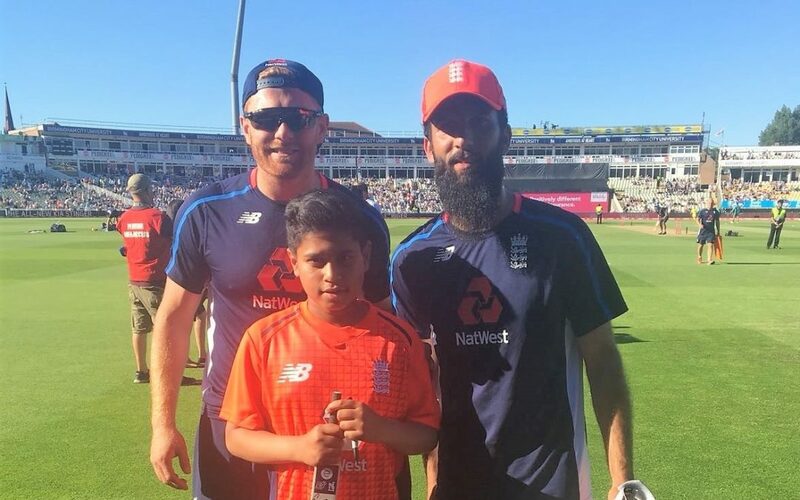 Zain Ali, England’s official mascot for the day, meets his cricket heroes Jonny Bairstow and Moeen Ali at Edgbaston.